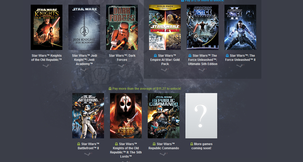 You can grab hold of a bumper package of great Star Wars games in the latest deal over on the Humble Bundle site, including classic hits from BioWare and Lucasarts. Available right now are peerless RPG Knights of the Old Republic, the excellent Jedi Academy, classic shooter Dark Forces and more. At the end of the week we'll be geeking out with our very own Star Wars Marathon for your viewing pleasure. Chris Capel will be feeling the Force... of your votes! Every good Imperial citizen and even Rebel scum are welcome at the polls. Thanks to the recent GOG.com launch of many Star Wars classics, a marathon is finally within our grasp. 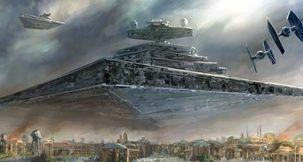 Will the Empire rule in Empire at War? Will Carth ever shut up in Knights of the Old Republic? BioWare's Shadow of Revan expansion to MMO Star Wars: The Old Republic is now available through its Early Access pre-order offer to subscribers. That means you can start on Revan's 'final chapter'. 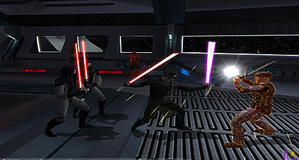 Players have already faced off against Revan but no one really knew what happened to him, so now BioWare intends to "answer that question," says senior producer Bruce MacLean. In case you were unaware, Lucasfilm has 'freed themselves' of the Star Wars Expanded Universe by declaring it not official canon to Star Wars. That's so they're free to explore the new trilogy in the works. However it also means that every game up until this point is also outside the canon, but Lucasfilm have said every new title from this moment on will be considered official. Dragon Age: Inquisition lead writer David Gaider has discussed the topic of romance in BioWare's RPGs, and how some would be happy if they "just abandoned the effort altogether," but it's tricky.